16L x 20W x 12H. This sports arena has basketball, soccer, and football all in one. Great for sports themed parties and fundraisers. 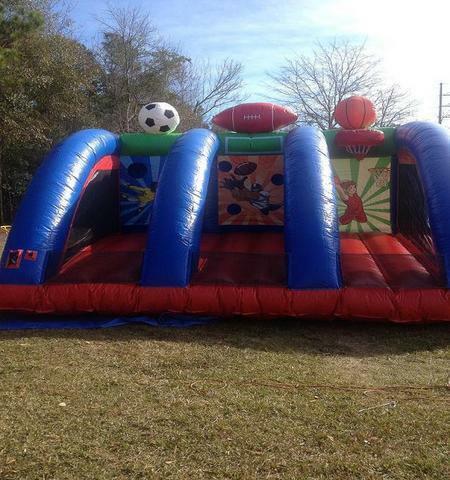 Please call for a discounted price if you need to rent other inflatables with this unit.